Please check with your venue coordinator to see if wedding sparklers are permitted. Most locations won’t mind you using them outside, but it’s best to ask first! 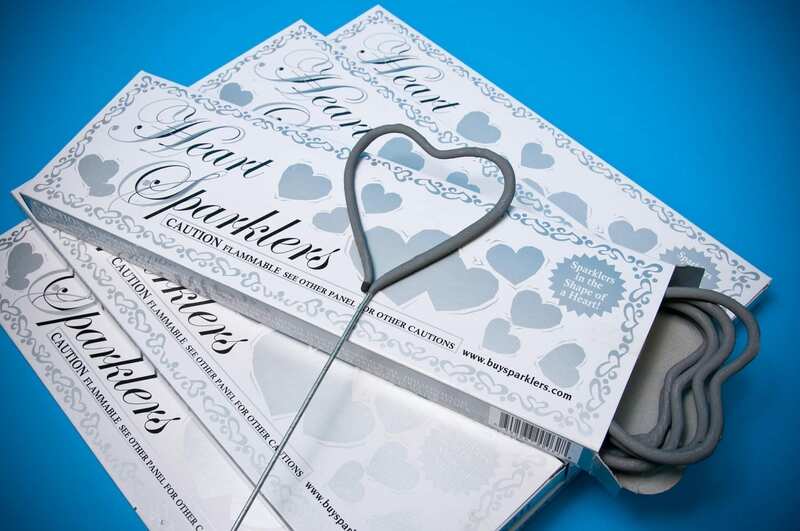 Use any of our wedding day sparklers made out of metal wire (Heart Sparklers, #10, #14, #20, #36), do not buy bamboo stick sparklers. Bamboo sparklers produce significantly more smoke and will ash off as they burn down the stick. They can be very messy and are not recommended for formal occasions. Coach a team of helpers to hand out and light sparklers. Give them BBQ lighters to light the first few sparklers. Then have guests dip unlit sparklers into lit sparklers. ALSO, coach them to hold sparklers UP and AWAY. 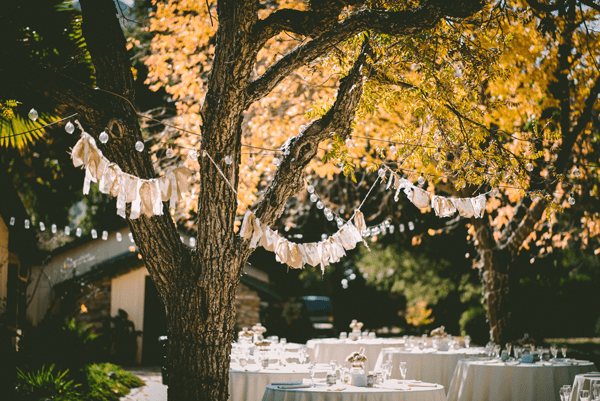 If doing a “tunnel” of sparklers for the bride and groom to run under for their exit…keep the crowd a little more than an arm’s length away. It’s more for show than to literally make a tunnel. A wide tunnel also gives the bride & groom enough room to “dash” out without bending over. 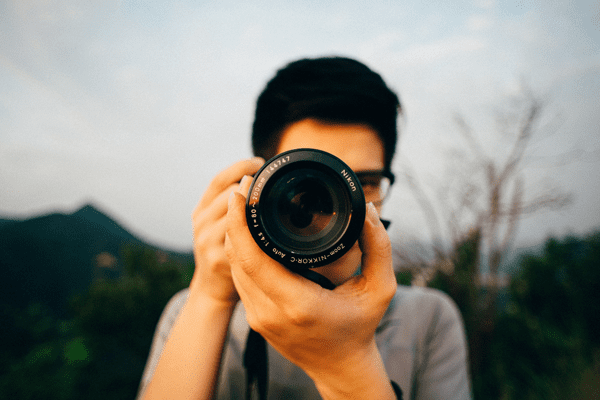 This will help you get great pictures. 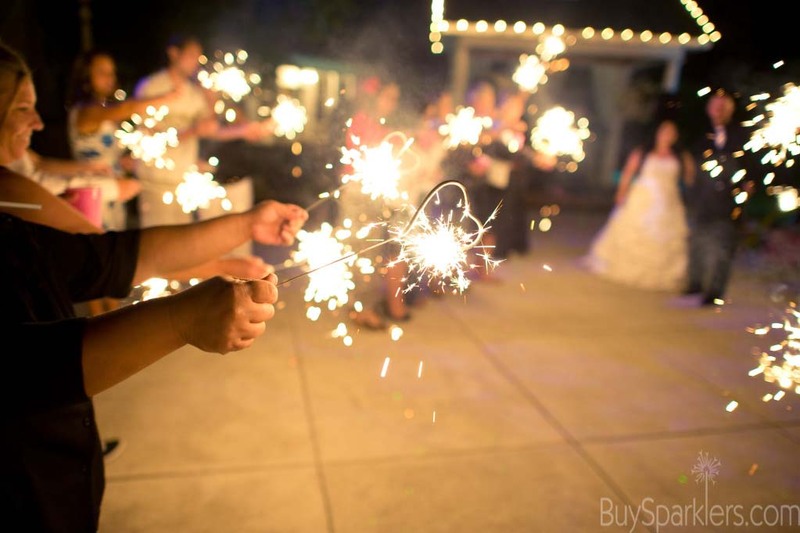 Let your photographer know when and where you are using sparklers. They can be ready to capture the moment…or to stage a few pictures just before or just after the big exit. Again, use your team of helpers to make sure sparklers are properly disposed of. The metal wires will be hot for a few minutes after burning. 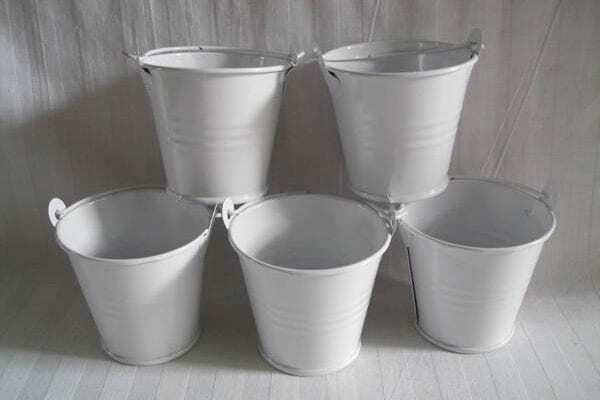 You should have metal buckets or trays nearby filled with water or sand so the wires can be discarded safely.